When I left the west coast, I had no idea I’d be heading for full-blown winter in mid-April. 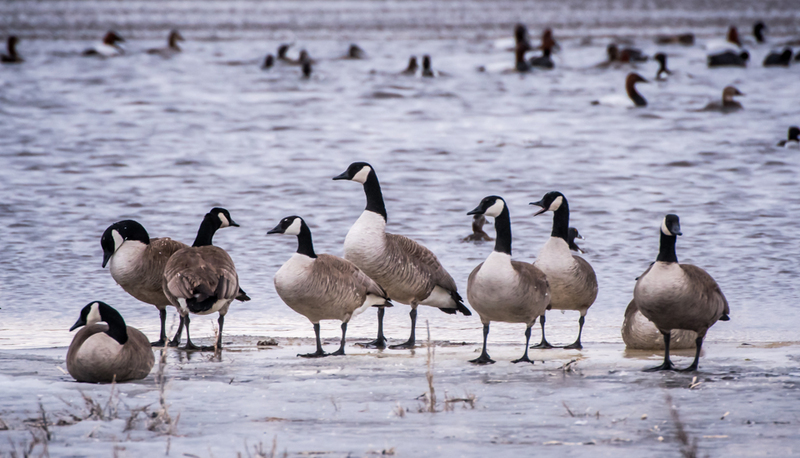 But winter is holding on with a vengeance at Sand Lake National Wildlife Refuge in South Dakota. I arrived right before a potential blizzard. I had planned to take a few more days to drive the distance, but upon hearing of the pending storm, I put in a long day of driving and arrived a week ago. 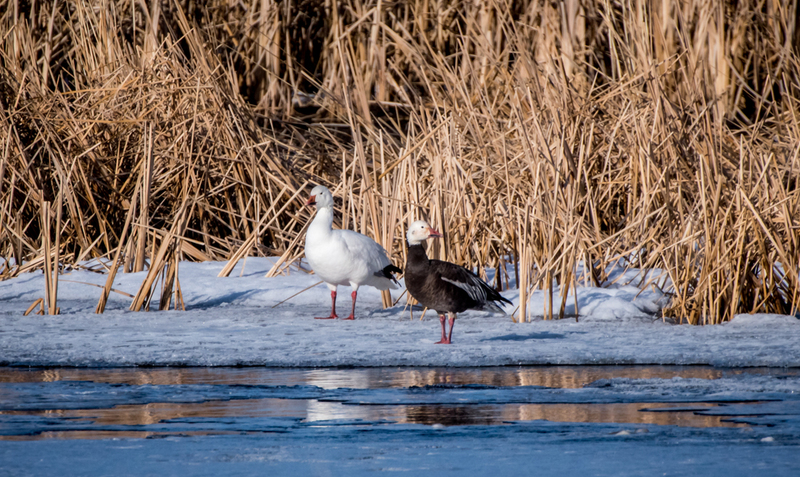 Good thing I got here when I did – the snow geese were still here! In fact, they were stalled far south of the refuge, but by the time I arrived, there were tens of thousands of them in the area. On the day I arrived, while I was unpacking my car, I heard flock after flock squealing overhead. 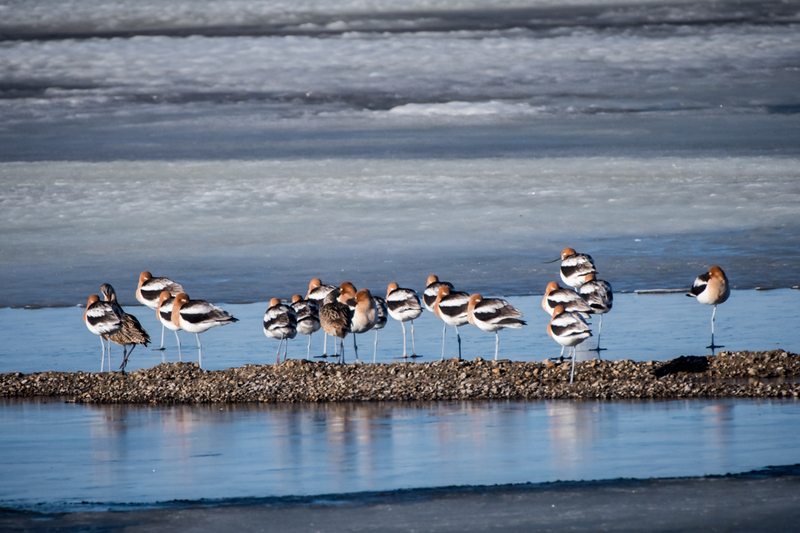 I found small flocks all over the place, some resting on the ice-covered water still lingering well into spring. Others were in the cornfields south of the refuge near Columbia. 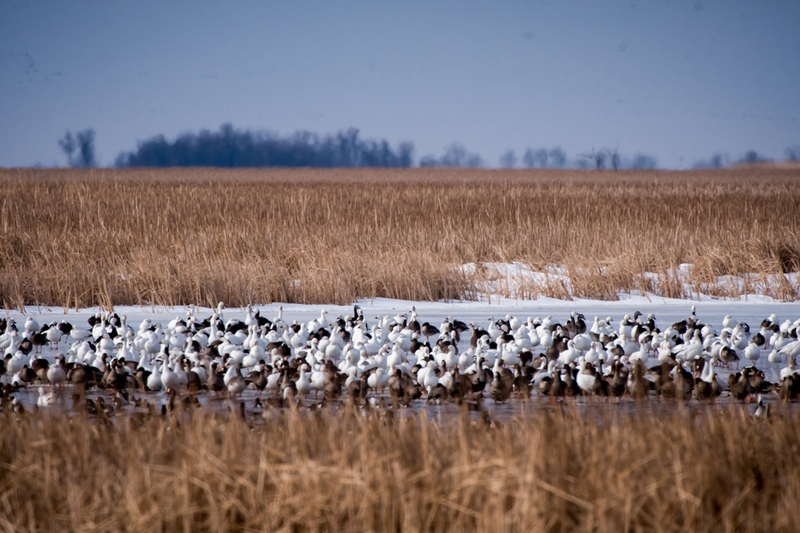 I spotted a large flock of more than 25,000 snow geese on Sand Lake itself. The next day, all but two snow geese were gone, presumably headed north to nest. 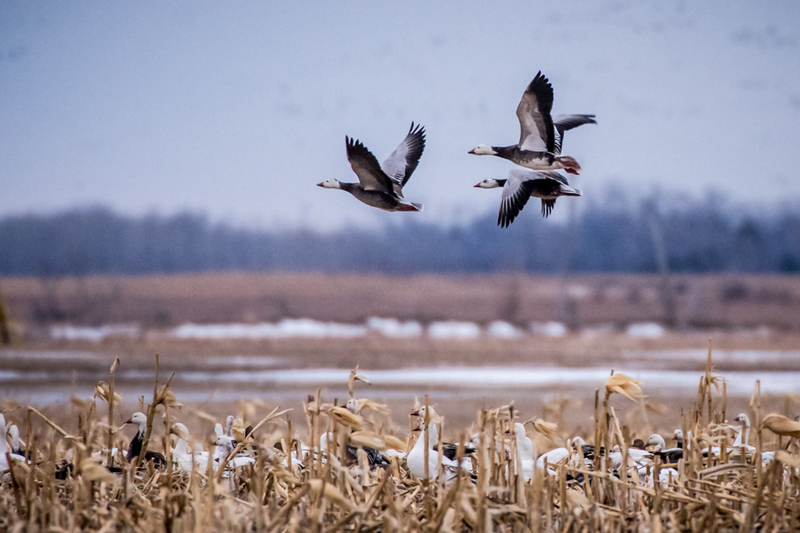 There have been plenty of waterfowl migrating through the area, too. 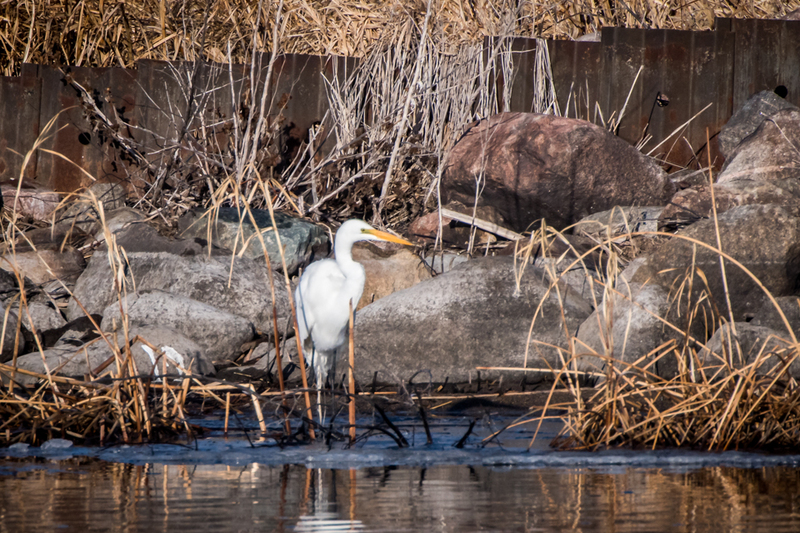 Even though the water has been frozen almost everywhere, the birds don’t seem to let that stop them. I also saw several large flocks of blackbirds when I first arrived. But by today, the red-winged beauties were starting to show up in the marshes where they seem to be staking territories. While checking out a favorite marsh west of the refuge, I found a Prairie Merlin eating prey while standing on a dung pile. I also got close looks at a chipping sparrow that landed on my side view mirror (!). What a little beauty with the red crest on top of its head. I also saw several juncos and robins. Lots of red-tailed hawks seem to be in the area, too. Saw a great egret and a pied-billed grebe this morning. Refuge roads open today, and I can’t wait to see what I can find next! 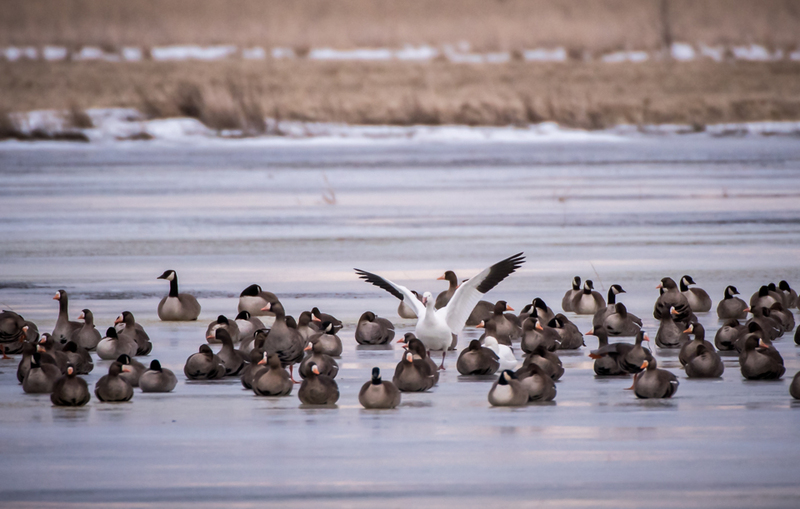 A mixed flock of snow geese, Canada geese and white-fronted geese rest on a frozen pond north of Hecla. 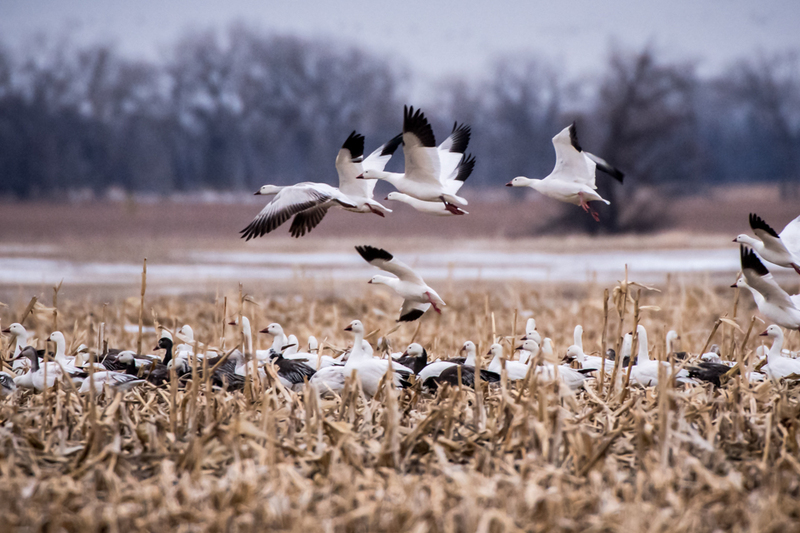 Blue geese, a morph of white snow geese, were abundant in the flocks of geese resting in the fields near Sand Lake NWR. 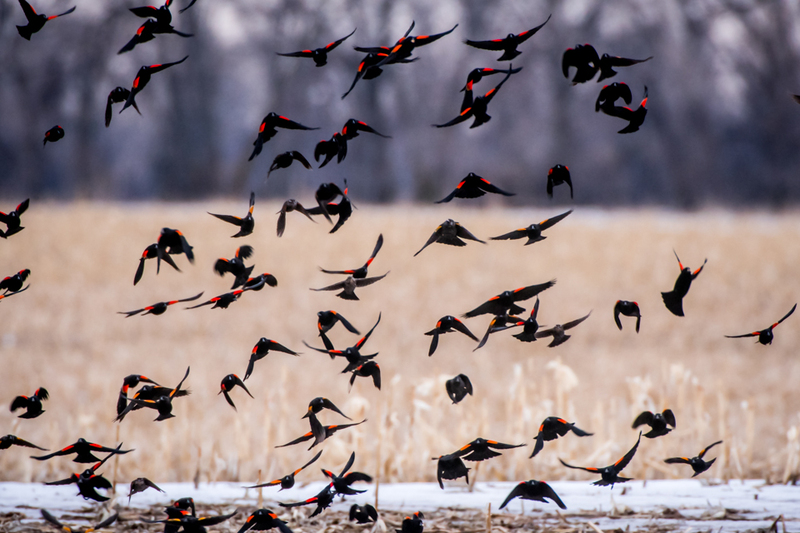 Large flock of red-winged blackbirds. Mixed flock of mallards, redheads and ring-necked ducks, among others. 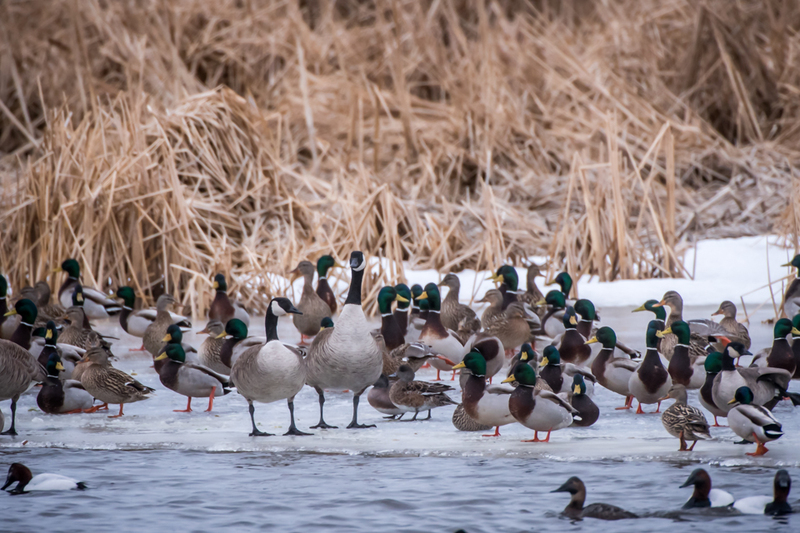 Canda geese and mallards, among others, rest on teh ice on Sand Lake. Large flock of snow geese north of Hecla. 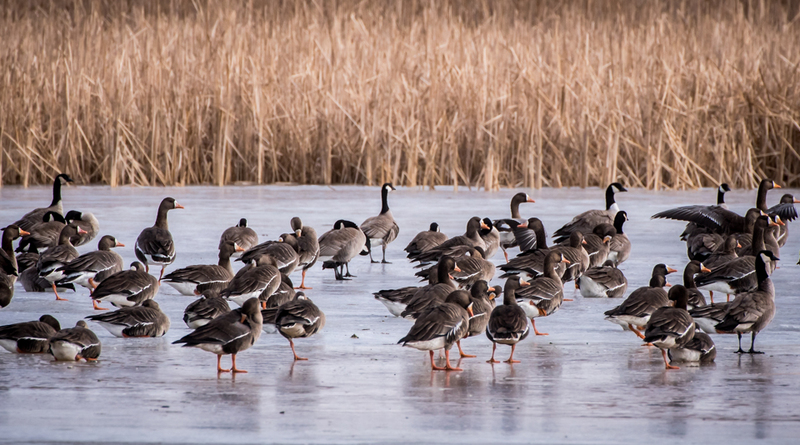 Canada and greater white-fronted geese. A few days ago, I saw the last of the snow geese. 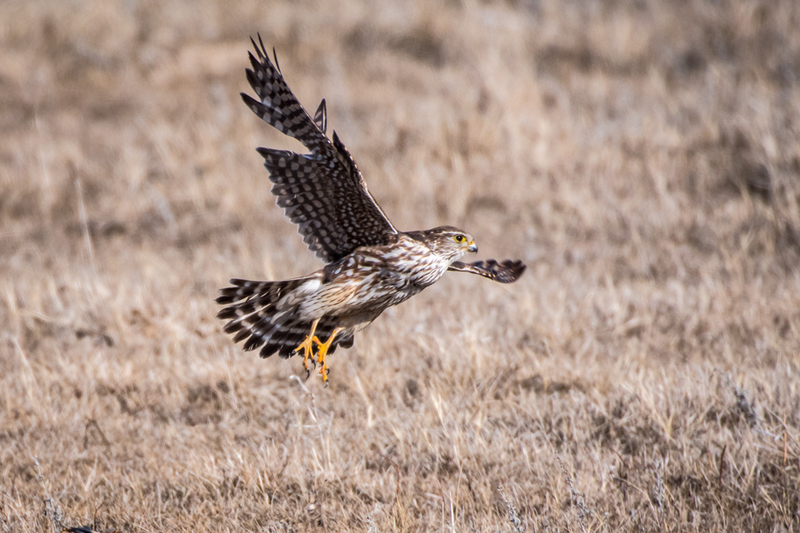 Prairie merlin flying off with a full crop after eating prey on top of a dung hill. Avocets and some other shore birds have been seen the last few days.